Team News | Center Shot Archers, Inc.
On 1/22/19 the WSJ hard copy version of this article was printed and our story entitled Aiming for a Bull’s-Eye in Brooklyn appeared on page A12B. Be on the look out for the Winter Edition of our Newsletter with highlights on all of our archers’ achievements on and off the field. Our youth excel on and off the field. Ryan continues to be an outstanding student (he is consistently on the honor role) a very strong archer and now… a star in Track & Field. We’re beginning to think there is nothing this young man cannot do when he puts his mind to it. Further proof, Ryan was accepted to a very competitive high school pre-med internship program. Congratulations to Ryan and his parents. More Great News!!!! Center Shot Archers has expanded. 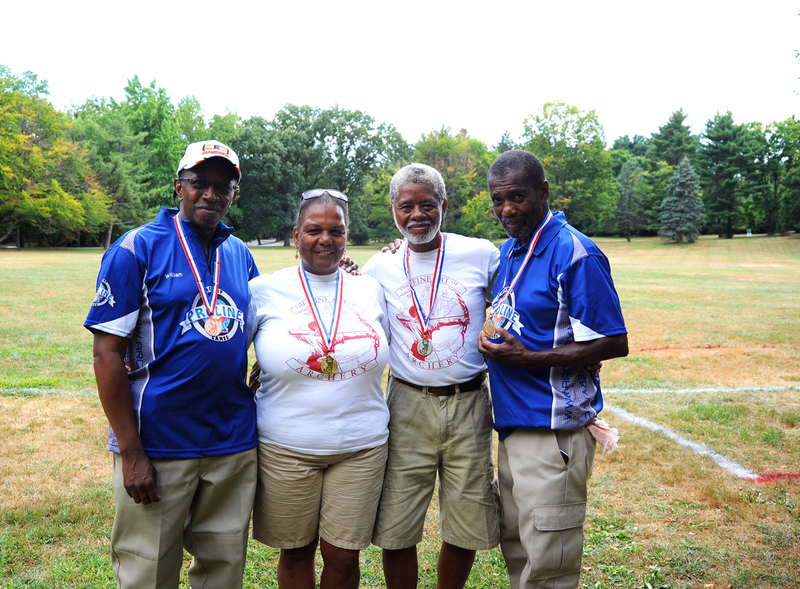 Not only are our archers doing impressive things and leaving their mark on the world of archery…so are our coaches. Coach Brown recently made an incredible trip to Dakar, Senegal to teach archery to teachers at the Senegalese American Bilingual School. Go to our photo gallery tab for pics of this important transcontinental sharing of information. Congratulations to Dallas on WINNING GOLD in both the 133rd US National Target Championships & JOAD National Target Championships at Grand Park in Westfield, Indiana. Congrats to Waylon who took Silver and Ben who took Bronze. Dallas, Dylan and Ryan shot in the 2017 Arizona Cup Tournament. They weathered sun, wind and dry temperatures. We are proud of them. ITS OFFICIAL!!! DALLAS’ SCORE OF 1148 AT THE 2017 INDOOR NATIONALS IS A RECORD FOR THE INDOOR NATIONALS IN HIS CUB DIVISION. July 2016 – 132nd US National Target Championships, 2016 Easton JOAD Nationals and US Open was a huge event. The archers prevailed through extreme heat, humidity, rain and delays due to intense storms. Some matches did not conclude until 9:30pm. Our archers competed hard and brought home 3 Silver and 2 Bronze metals. Kudos to Dallas and Eian. Go Team!!! (Right to left) Coach Brown, Gold Elimination Round Winner Andrew Park, Dallas and Andrew’s Coach. July 2016 Outdoor Championship at Chemung. Go Team!!! Dallas, Ryan and Waverly were invited to attend the USA Archery Regional Dream Team East training camp. They went through rigorous training with the USA Archery coaches and as a result of their strong performances, all three were selected to join the USA Archery Regional Dream Team – East. This is an amazing accomplishment and a testament to their solid foundation and ongoing good coaching, personal fortitude and to the support of their families. We are very proud of them. Coach Larry Brown (recurve), and Asim Muhammad (bare bow). On July 26, 2012 Coach Brown participated in a wonderful and inspiring youth program hosted by the NYC Commission on Human Rights. Check out the links below for print and video. New York Post Article (4/2/12) the Daily News Article (4/20/12)Coach Brown was interviewed on CBS News today 5/9/12 by Cindy Hsu. On August 11, 2011 Coach Brown and Center Shot Archers Tyler Lowther, Enrique Perez, Daniell Martinez, Carlysle (CJ) Brackin, Gabriel Perez and Roberta Jones joined talk radio host M. Saidia McLaughlin (right) on Education at the Crossroads – Sports in our Schools on WBAI-99.5 FM. This was an incredible experience for us all. Listen and be inspired. CSA 2010 Year End Newsletter follow the link to see some of the wonderful things Center Shot Archers were involved in throughout 2010.Carlysle Brackin and Tyler Lowther Win at the 42nd National Indoor & JOAD Championships! Click to read about these two incredible young and archery champions.